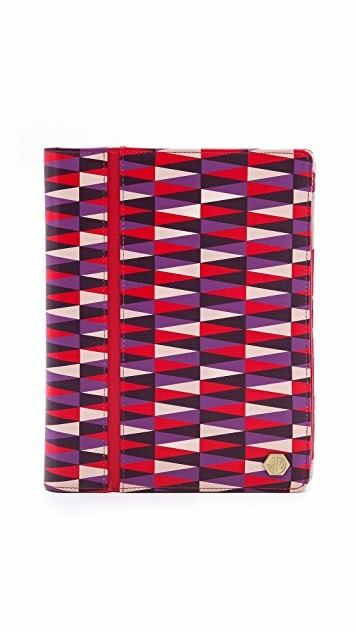 This triangle-print, faux leather Jonathan Adler case will protect an iPad with style. 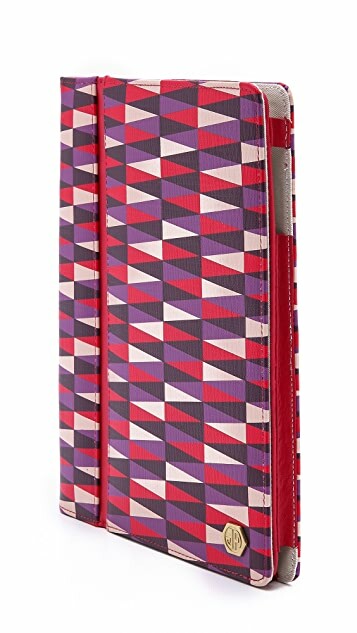 The flexible paneled front opens to a formfitting case with button cutouts, and can also be used as a stand. Velcro® screen window. 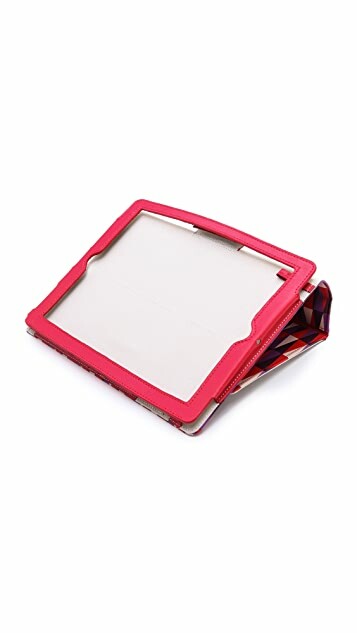 Fits iPad Original, iPad 2, and the New iPad.